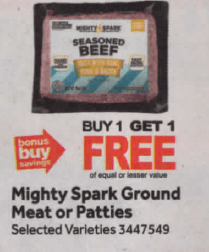 Starting 01/18 Stop & Shop has Mighty Spark Ground Meat Blends on sale for Buy 1 Get 1 FREE! Our store sells the Mighty Spark meats at $6.99 each. We have a $1/1 Mighty Spark item printable coupon available. Pick up 2 of the Meats, use 2 coupons and pay a total of $4.99, that makes each pack only $2.49! 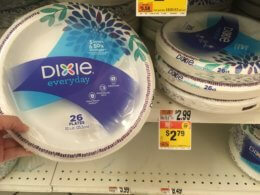 Great Deal! Stock Up! *these offers might not be available in all regions so check your ad and or shelf prices first. Over $143 in New Ibotta Offers – Save on General Mills, Back to Nature, Schick & More!